Hurd continued his outstanding track performances at Frostburg State University as a five-time All-American for indoor and outdoor hurdles. He won five national indoor championships and holds the national record for the 55-meter hurdles. Three of his FSU records still remained unbeaten as of 2006: the 55- and 110-meter hurdles and the 4 X 200-meter relay. 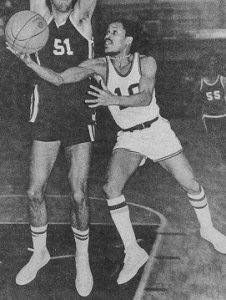 Lou Bruchey was a three-sport star at Frederick High School from 1962 to 1964. 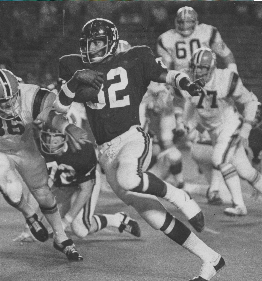 In football, he was First Team All Tri-State League quarterback and a Cadet MVP. In basketball, he averaged nearly 20 points a game. On the undefeated track team, he was a record-setting hurdler and MVP. 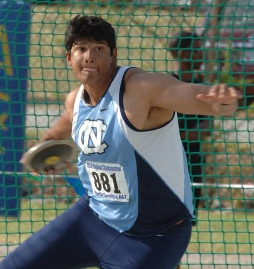 He continued his athletic career at Gettysburg College, where he set records in both football and track. In 1966, Bruchey helped Gettysburg win the Lambert Cup for the Best Small College football team in the East. 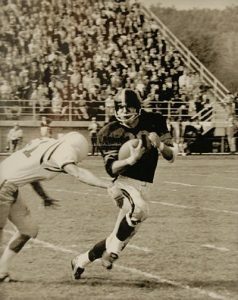 In 1967, Bruchey led Gettysburg in kick returns and interceptions (5), and was twice honorable mention in the All Eastern Collegiate Athletic Conference. In a victory over Lehigh University, Bruchey recovered two fumbles and intercepted three passes, which were still a Gettysburg record as of 2006. He was an all-around athlete, an outstanding performer, and a terrific leader. 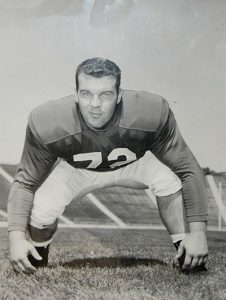 A starting lineman on Jim Tatum’s University of Maryland 1953 National Championship team, Richard Shipley was elected to the Blue-Gray Game and recruited by the pros. 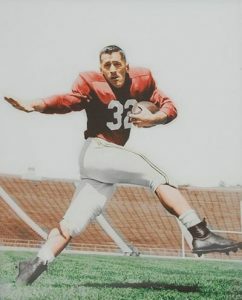 Burgee was captain of the 1949 Cadet football team. The following year Burgee attended Mercersburg Academy, where he played on an undefeated football squad. He received a football scholarship to the University of Maryland and played in two Orange Bowl games for the nationally ranked Terps. He was a three-year letter winner and held the Maryland record of 90 yards as the longest run from scrimmage for 24 years. 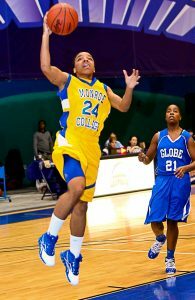 Legore entered North Carolina University and remained undefeated all four years, 1930 through 1934. 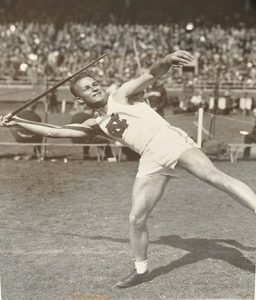 He set college and Penn Relay records before trying out for the 1936 U.S.A. Olympic Team. 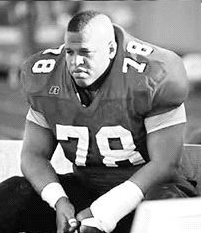 Patterson became a two time Division-II All American lineman. 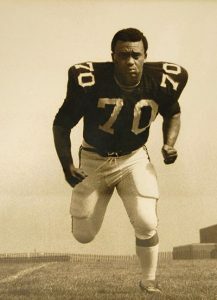 Quite possibly the best offensive lineman ever to play football in Frederick County, Francis “Butch” Foreman was a pre-season Division 1 college All-American while at the University of Cincinnati. 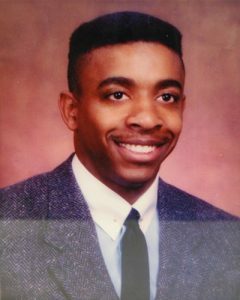 Smith was named to the All- American Football team by Coach and Athlete Magazine while at Western State College in Colorado. 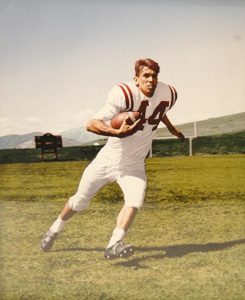 Fred Burgee was an all-around prep school athlete who achieved All American status as a football lineman for Western Maryland College. 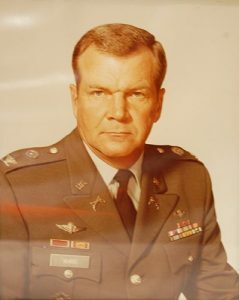 The definitive versatile athlete, William Ward was an Associated Press Little All-American in football at Gettysburg College (1956) and later inducted into the college’s Athletic Hall of Honor (1988). 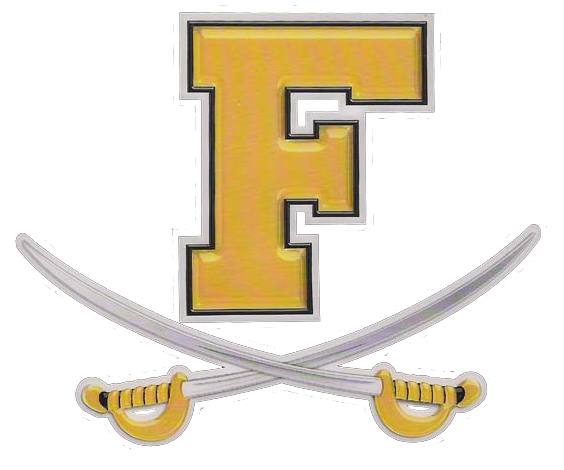 Tom Bichy quarterbacked Frederick High School in 1962 to its first-ever win over Fort Hill by scoring all 13 points. 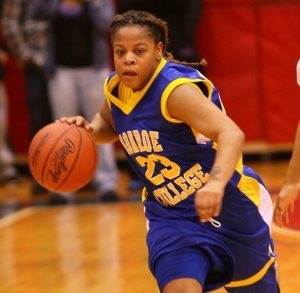 He was also a star on the Cadet baseball and basketball teams. He won state championships with Babe Ruth and American Legion teams. He was named an All-ACC infielder, helping the University of Maryland win its first ACC title. 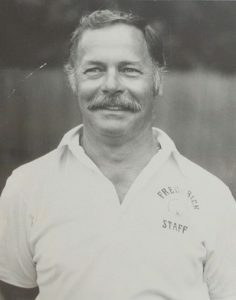 He joined the Montgomery College of Rockville coaching staff in 1968, winning 336 soccer games, eight state championships, and advanced to the nationals seven times. 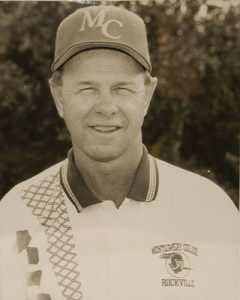 He was selected Coach of the Year seven times and was named National Junior College Coach of the Year, Division III.